Dreamcatcher is a concept album that draws inspiration from horror novels and movies,such as It,The Shining, Hannibal Lecter, and The Dead Zone. The album was recorded by the band while mixing and mastering were handled by Jamie King (BTBAM, THE CONTORTIONIST). The album features guest appearances from Mike Semesky (INTERVALS, THE HAARP MACHINE), Jamie Hanks (I DECLARE WAR), Brian James (FALLUJAH) Sims Cashion and Leonardo Guzman. Pre-order your copy of Dreamcatcher and receive a download for “Before The Eons” instantly! AENIMUS will be on two separate tours in 2019 in support of Dreamcatcher. 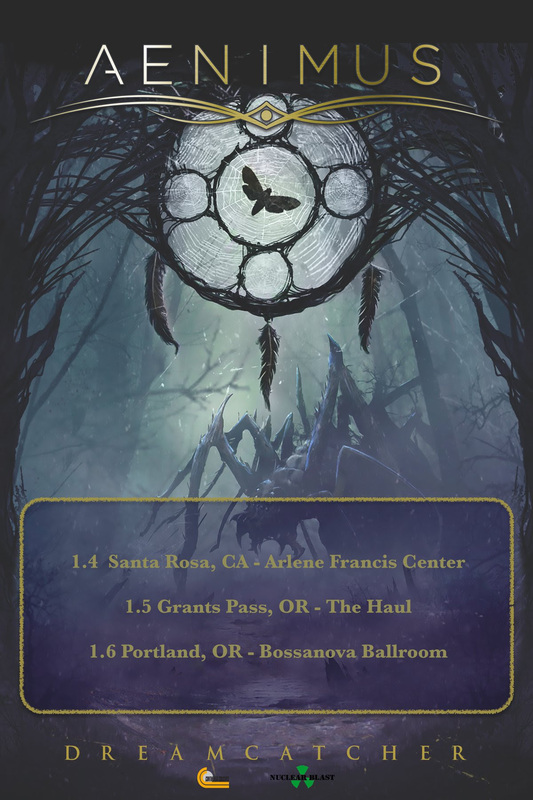 The first being a small west coast tour in Oregon and California. 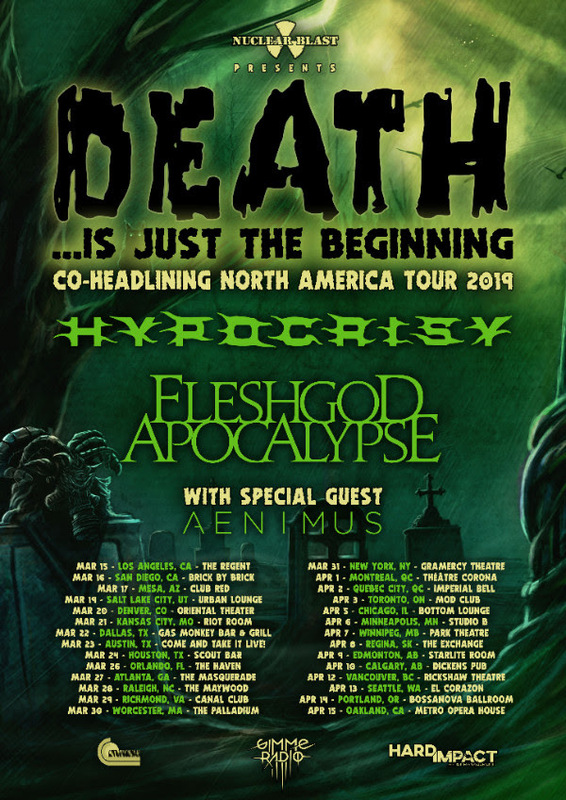 Then an EPIC tour with HYPOCRISY and FLESHGOD APOCALYPSE. See tour dates below and grab your tickets! 3/23/2019 – Austin, TX – Come and Take it Live! Check out AENIMUS’ new MV for “Before The Eons” below!